Then Voila! You have yourself some homemade spicy guacamole! Yum Yum! The best chips to use are the Tostitos Lime Chips. Those chips are AMAZING! You don't even need the guacamole to eat them. 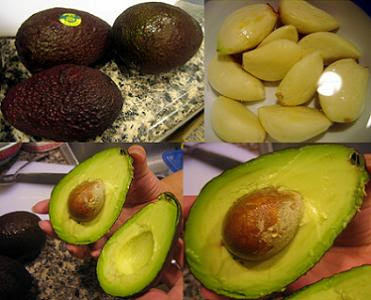 Mmmm I am going to make more guacamole for this upcoming weekend to chow down by myself! ^_- Anyone is welcome to drop by the apt in SF to join! Hey, I did most of the work in making the guacamole and I didn't even get any credit! Sob sob. Haha you just like being in the lime-light. I didn't even think about it. 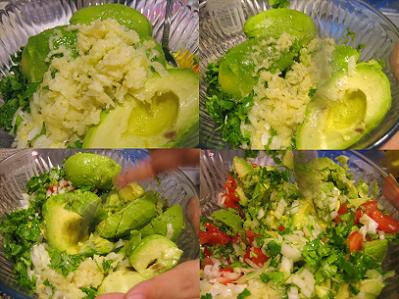 I just wrote it as a quick recipe and photos, but yes the guacamole pictured above was mainly made my Ms. Lin! O=P Although I had to remind you how to chop the onion... tsk tsk!